Much of my reading the past year or so has actually been listening. The audiobook bug definitely has me in its claws and I am glad it does. If you haven't listened to one of your favourite books/authors/series seriously you need to do so. Magic Shifts is the eighth book in the Kate Daniels urban fantasy series and is deliciously good. 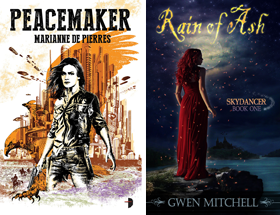 Urban Fantasy has exploded in the number of titles and especially series over the past decade. Most book series are like network television, diverting but ultimately unsatisfying. The Kate Daniels series though is premium cable HBO. Magic Shifts has unstoppable action momentum and memorable characters. Kate and Curran are the Jaime and Claire of urban fantasy and in this adventure show a new level of confidence and maturity. Readers often complain that characters don't evolve but that cannot be said for Kate and Curran which go through some major changes in this installment. The narrator for all of the Kate Daniels books is Renee Raudman and by now I can't imagine another voice for Kate. A laid back style that nicely captures Kate's self-deprecating and frequently humorous personality and imbues all of the other characters with a unique style. 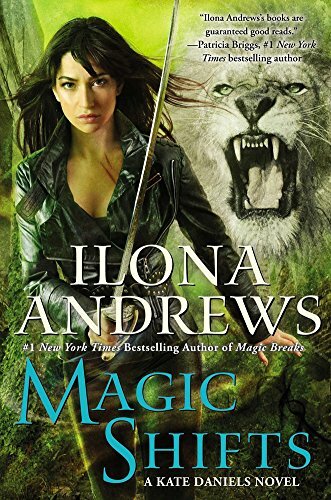 I heartily recommend Magic Shifts, but as with most really good series, if you haven't read the earlier books, it is best done in order. If that is the case, then I envy you because you will have discovered eight magical escapes ready to be experienced. After breaking from life with the Pack, mercenary Kate Daniels and her mate--former Beast Lord Curran Lennart-- are adjusting to a very different pace. While they're thrilled to escape all the infighting, Kate and Curran know that separating from the Pack completely is a process that will take time. An ancient enemy has arisen, and Kate and Curran are the only ones who can stop it--before it takes their city apart piece by piece. A list of the books and related stories. I can't wait to read this one! I love this series.